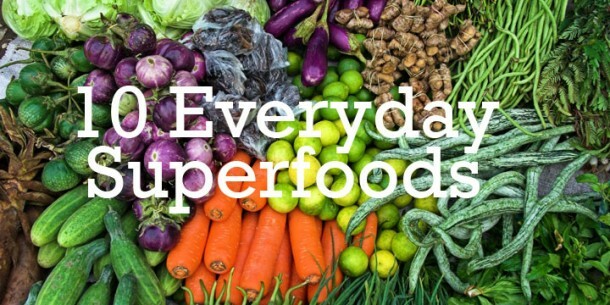 Superfoods are nutrient-dense, whole foods that have high amounts of micronutrients and other unique compounds that have incredibly healing potential. Superfoods (like these exotic ones) might sound like they are impossible to find, or extremely costly, but many of these superfoods live in your local groceries and can be added to your shopping list for around $3 to $5. Note: All percentages quoted below are recommended daily values based on a 2000 calorie/day diet. I consider some vegetables personal friends of mine, and broccoli and I go WAY back! It’s one of my favorite super-charged vitamin-packed veggies because it’s so easy to cook, has a mild flavor, and is even kid-friendly. Enjoying more broccoli is easy. 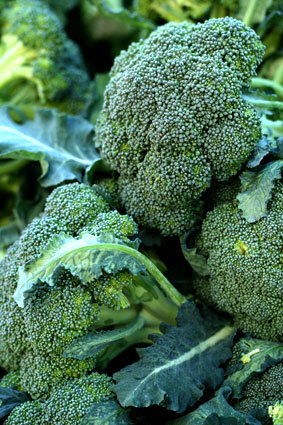 Have a broccoli bonanza and try a new recipe like garlic broccoli. Or try a delectable chicken stir-fry with chicken and broccoli. Mushrooms are a chef’s best friend because they have delectable savoriness due to high levels of amino acids — the same ones that are found in beef. Health nuts love them because they are impossibly low in calories, have cancer killing compounds, and are rich in Niacin, also known as vitamin B3, that helps keep blood cholesterol in check. Looking for a classic Italian recipes that incorporates savory mushrooms? Try my mushrooms risotto. Entertaining the idea of throwing a party? 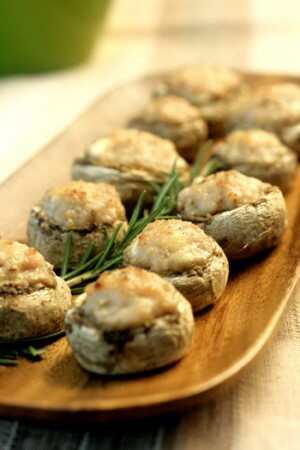 Stuffed mushrooms are a favorite. Chilies are a personal favorite of mine because they make food exciting! Eating spicy, hot flavorful food can also help you to feel full without eating large portions. Chilies also cause your body to release heat and increase your heart rate — both help you burn slightly more calories during the meal and for a short time after. But most studies show that chilies do not increase your metabolic rate permanently. However, they do have other very powerful benefits for the body: Chili peppers are a good source of vitamins A, C, and E. They are rich in folate and potassium, low in sodium, and contain no carbohydrates. Because they contain capsaicin, they have been studied for their ability to stimulate circulation and as a potential medication for arthritis sufferers. 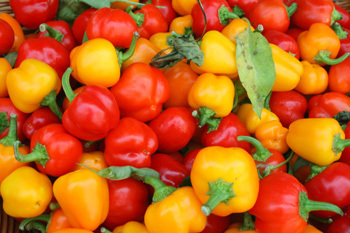 The best way to incorporate chilies into your diet is to go fresh and use them in healthy, home-cooked meals. If you know you can’t take the “heat”, start with milder chili like jalapeño and slowly work your way up. Removing the seeds and the white membrane from inside of a fresh chili can make it more mild as well. Have a hungry meat lover in the family? Win them over with Hell’s Kitchen Chili. Some like it hot, but if you like it smokey, then this chipotle chili is for you! I’m sure you’ve heard that you should get more leafy greens in your diet, but why? Leafy greens such as kale, are worth their weight in gold — nutritionally speaking. 3 cups give you well over 100% of your daily needs for vitamin A, C, and K, and provide you with good levels of vitamin E. They also contain manganese, a mineral critical for processing food into energy for your cells. 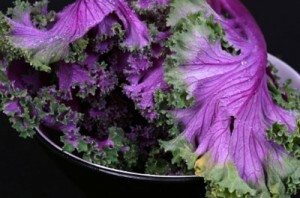 Kale also happens to be high in protein — 2 grams of protein per cup! Looking for a vitamin boost for your next breakfast? Try eggs and kale and get two whole servings of vegetables before you even start your day. In the mood for steak dinner? Cook to impress with a juicy filet mignon (links to video) and a side of kale. Lean red meat, part of a healthy diet, skyrockets the iron levels already present in kale. 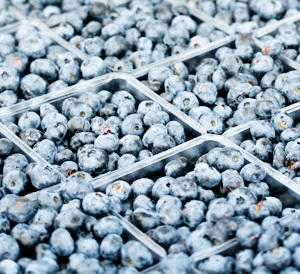 Think of blueberries as a box of glittering sapphires when it comes to your treasure chest of healthy foods. They are rich in some micronurients as you’ll see below, but the real payload comes from an incredible rich phytonutrient (plant anti-oxidant) profile. They contain high levels of compounds such as anthocyanins, resveratrol, cyanidins, quercetin, and many, many more. These compounds are able to latch on to free radicals that attack cells and would otherwise wreak havoc inside the body. 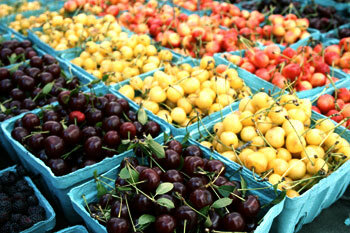 Cherries, like many fruits are high in water content. Your body retains water content in fruit more efficiently than just drinking a glass of water (that has a tendency to cycle through your system quickly). Besides that, sweet summer cherries are low-cal (one cup is about 90 calories). They have plenty of other beneficial health properties — they are high in phytonutrients, and particularly high in anthocyanin, a powerful antioxidants that protects the liver according to folk medicine (and is being currently studied for its potential to lower hypertension, protect the heart, and slow DNA damage. Did you know that cherries also have the ability to ease the aches and pains of gout? Studies say that eating fresh cherries may help you to lose weight. Craving something sweet? Try this cherry almond smoothie that can double as a healthy dessert. Ever tasted a Chinese Gooseberry? If you enjoy kiwis you have! Whatever you call ’em, these hairy monsters are packing major vitamin C! A potent antioxidant, vitamin C is a crucial nutrient that your liver needs to detoxify your blood and keep a myriad of other bodily functions moving along smoothly. Kiwis are the perfect travel food — no knife required because you can eat the skin and its fury exterior softens as soon as you start to chew. Save your empty yogurt containers, they are the perfect travel case for kiwis. 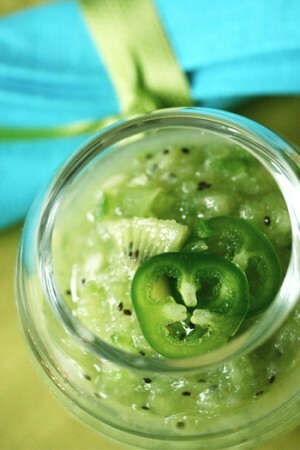 Stay cool at the pool this summer and sip kiwi gazpacho that fortifies you with the skin-repairing anti-oxidant vitamin C. Or try this sweet and spicy salsa to go along with your chips and margarita when the sun goes down. I think everyone knows that spinach is a nutritional powerhouse, but you can think of it like the “hope diamond“. High levels of vitamins K, A, C, B2, along with manganese, folate, and iron — all available in just one cup! In fact, spinach contains so many nutrients that aren’t even listed here and they can all be yours, unlike the hope diamond! This simple preparation is the fastest way to load up on nutrients at lunch or meal-time, by just tossing a handful of baby spinach into soups, sandwiches, and pasta dishes. Be the life of the party and bring this light yet savory spinach dip — and don’t forget the veggie sticks. Hearty meatloaf makes a filling protein-rich meal. This meatloaf stuffed with cheese and spinach takes the classic recipe over the top! 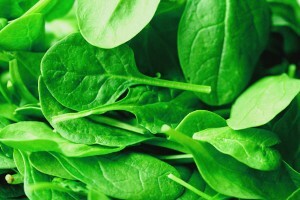 Looking for an easy and super healthy way to get more spinach in your diet? Try simple sauteed spinach that cooks in just minutes. Looking for a healthy food that’s easy to love? 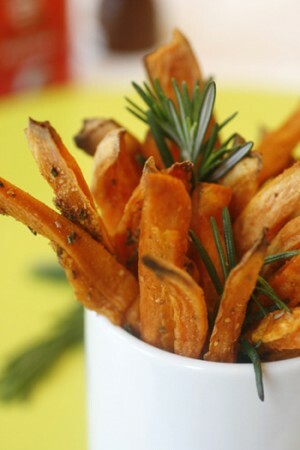 Make sweet potatoes or yams your new sweetheart. Actually, the yams and sweet potatoes that we get in the local US grocery stores are both sweet potatoes. The term “yam” came from the African root vegetable (that is a different plant all together), and was used to mislabel our orange sweet potatoes. Both American yams and sweet potatoes have a positively dreamy creamy texture and delicious sweet flavor that makes them popular with adults and kid alike. On the other hand, the tropical variety of yam, which is almost white inside and purple outside, has a very different nutritional profile compared to our “yams” (that are really orange sweet potatoes with a red skin). African Yams tend to be slightly higher in calories, higher in fiber, quite low in vitamin A — but very high in potassium and a good source of vitamin C. Whereas sweet potatoes and in particular our yams are bursting with vitamin A and have less calories then yams, they are a better source of C and lower in fiber. Regardless if you swap either of them in for white potatoes or white bread, you’ll benefit from their lower glycemic index (about half of a white potato), which means you can stay in the calorie-burning zone longer. Looking to place a higher quality carbohydrate on your plate? Well, I’ve already tooted the benefits of this dreamboat of a superfood, so go ahead and enjoy those healthy sweet potato fries! To mash sweet potato is to love it! Make a new holiday tradition and serve honey-baked apples and sweet potatoes. 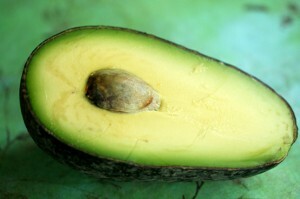 I always feel a bit naughty when I dig into a soft ripe avocado, because they taste so decadent. But the nutrition in avocado is oh so nice! Although it is high in fat content compared to other fruits (yes it’s a fruit), it comes along with a long list of fat-busting nutrients like fiber and vitamin B5. It contains high levels of pantothenic acid or B5, which is a good thing! According to George Mateljan, a biologist and author of “World’s Healthiest Foods,” vitamin B5 aids the breakdown of fat. There is also research out there on how pantothenic acid may help clear acne. 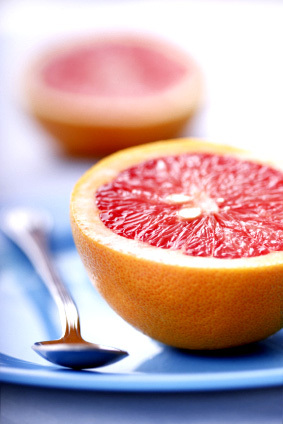 I’ve never met a superfood I didn’t love, and juicy grapefruit has been a staple in my diet. I know that grapefruit gives me plenty of Vitamin C which is a powerful antioxidant and can help fight the aging process. Maintain that glowing complexion, protect gums for a gorgeous smile and help to lower cholesterol by including it in your diet. But if you are taking prescription medication, talk to your doctor before eating grapefruit — some citrus fruits (like grapefruit) can impede the breakdown of prescription medications. If you’re looking to slim, eating grapefruit is no diet myth. Whole citrus fruits (not juice mind you) are known to work as low-calorie appetite suppressants which can be a leg up in reaching your weight goals. Grapefruit contains a unique compound called naringin, a flavonoid that has been studied because scientists say it increases metabolization of lipids or fats, and might attack cancer causing compounds that are ingested, and saps free radicals. What’s Your Favorite Way To Cook With These Superfoods? Ok, now it’s your turn: what’s your favorite way to cook with these superfoods? Leave your answer in the comments below.